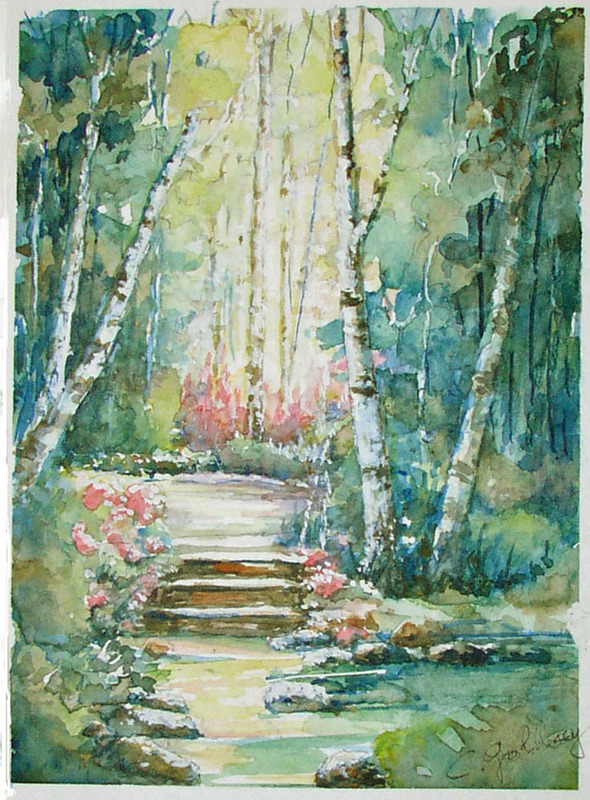 Just a quick mid-week post to show off some of my mom’s artwork. These three paintings are only 4×6″, painted on heavy watercolour paper – not sure of the thickness, but thick. 🙂 They are actually greeting cards. The colours on the one above astound me. I looked outside one day this past winter and thought – those ARE the colours! My mom got it perfect. 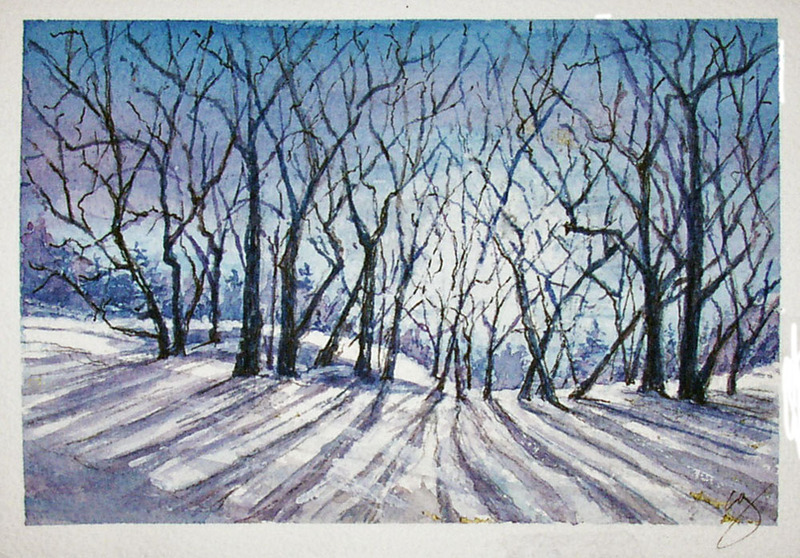 The colours on this painting by fellow blogger Nicholas Herbert are a similar wintery scheme. I want to lose myself in that garden for a few hours! This was a Solstice card Mom sent me a few years ago. It’s hard to believe these amazing paintings are so tiny! But they do fit quite nicely on the Treehouse bookshelves and in other nooks and crannies. When I play the “What Would You Take In a Fire” game with my friends (like you don’t), my mom’s paintings always top my list. In a day and age when greeting cards can be found at the dollar store, there is nothing quite like cards that have a handmade touch to them. Whatever creative skills you may have, don’t be afraid to share them with the people you love. Even tiny paintings like this have a lot of impact, and the personal association with such mementos are priceless. BEAUTIFUL! absolutely gorgeous little paintings. I quite enjoy making and receiving hand made postcards!